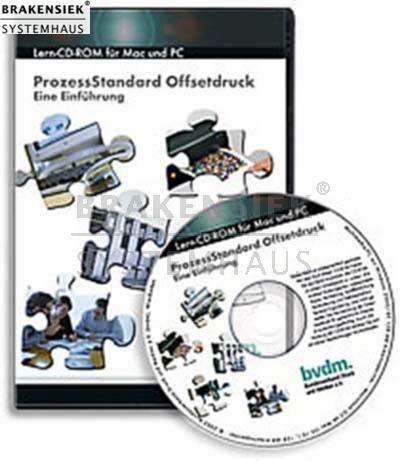 The CD-ROM turns to all those which could not deal up to now yet intensely with the complicated matter of the process standard offset printing and want to win now the first overview without arguing immediately with the very extensive and very technically oriented manual „Process standard of offset printing“. Moreover, it is to be recommended for all those which own method knowledge of the standardization though in her narrower field of the problems and apply, but yet do not dispose of the necessary know-how to judge standardised work routines about the departmental borders and company borders away comprehensively and to start interdisciplinary. The contents fit into seven chapters which exist in each case from to four learning unities. At the beginning of every learning unity it is introduced in the treated problem formulation, at the end stand in each case some test questions with which itself the qualified checks up. The learning chapters are framed by some extras: Thus the user can determine all those advantages which arise to him quite personally from standardised work with the help of a questionnaire. An extensive encyclopaedia which can be called directly from the learning unities explains important concepts. Moreover, exists the possibility to finish a final test. Who can serve there suitable knowledge, a certificate which certifies the successful treatment of the CD-ROM to him receives.